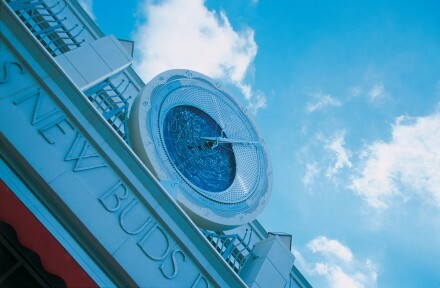 ‘Planisphere’ part of the large-scale retail-based project at Bluewater Shopping Centre in Kent. 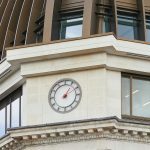 Designed by the late-American-born British Architect Eric Kuhne. Fabricated and installed by Smith of Derby. The inspiration for the Planisphere in the Bluewater Shopping Centre is the ever changing position of the stars. 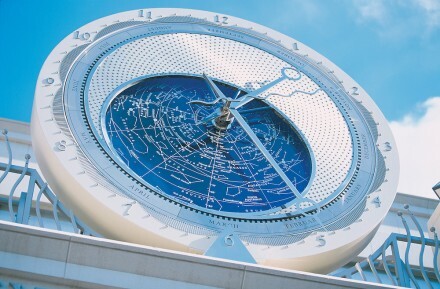 Planisphere is a unique clock that displays the hour, week, month and year, together with the current position of he celestial bodies above the shopping centre. 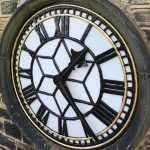 This beautiful clock measure over 3 metres in height and is engraved and fabricated from infilled glass, polished stainless steel and powder coated steel.